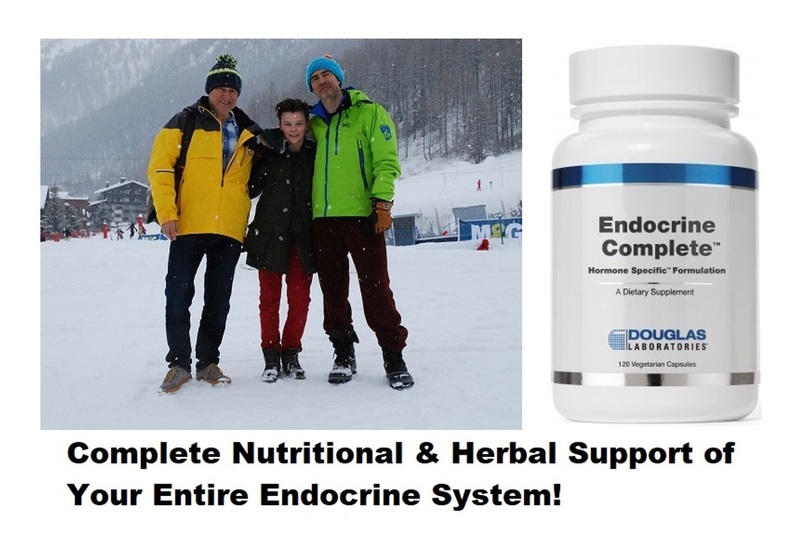 Endocrine Complete™ is a Hormone Specific™ Formulation developed by Dr Joseph J Collins, ND, RN to maintain the health of your endocrine glands and support the ability of your body to make its’ own hormones. The unique combination of herbs also supports the function of hormones and decreases the development of hormone resistance. Endocrine Complete™ includes the activated or the most beneficial forms of specific B vitamins to support your hormone health. These include L-methylfolate, the most active form of folic acid, which is required for proper health of gonadal and adrenal tissue. Vitamin B-12, as methylcobalamin, is required to maintain adequate levels of estrogen and progesterone and modulate cortisol levels. Riboflavin, as Riboflavin-5-phosphate, is required for proper metabolism of thyroid hormones as well as adrenal gland hormones. Benfotiamine, a lipid soluble form of thiamine, supports insulin synthesis and healthy glucose metabolism, as well as thiamine HCl, the water-soluble form of thiamine. Pyridoxal-5-phosphate, the most active form of B6, is required for adrenal gland health, as well as proper function of insulin. The daily dosage of Endocrine Complete™ also includes active forms of fat soluble vitamins. For Vitamin A, 80% of the 5,000 IU is as beta carotene and 20% is as Vitamin A Palmitate, which provides the active form of vitamin A. The addition of Vitamin A Palmitate is significant because the conversion of beta-carotene to Vitamin A can be low in up to 45% of the population due to genetic variations. The daily dosage also includes 1,000 IU of Vitamin D as cholecalciferol, the form of vitamin D that we naturally synthesize when our skin is exposed to ultraviolet B (UVB) light. Vitamin K-2 is included as Menaquinone-7, which is more bioactive and, more effective than vitamin K1 and other menaquinones, and works synergistically with vitamin D to maintain bone health. Endocrine Complete™ contains 10 specific minerals in effective and safe dosages, to support the health of your entire endocrine system. Optimal hormone health requires the daily intake of a high-grade vitamin & mineral formulation. A high percentage of adults in North America take in less than the minimum daily requirement of 10 or more essential nutrients. This is a great concern as adults go through the biochemical changes seen in the aging process. Vitamins and minerals are used as cofactors for every biochemical process that takes place in your body. They are all essential for quality health in adults of all ages. The herbs used in Endocrine Complete™ specifically support the function of your adrenal glands, thyroid, gonadal, and pancreas, and help them make the hormones the way they were designed to make them. Endocrine Complete™ is the best high grade multiple vitamin-mineral formulation to use with any of the Hormone Specific™ Formulations.